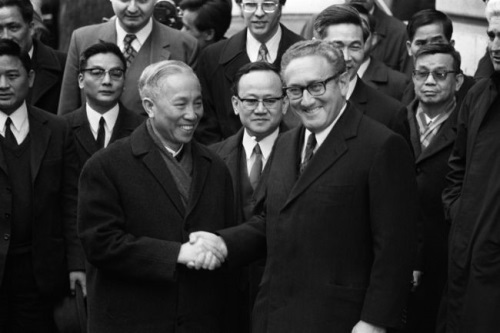 The Paris Agreement on Ending the War and Restoring Peace in Vietnam (Paris Peace Accords) was a glorious victory of Vietnam’s diplomacy in the Ho Chi Minh era. 45 years have elapsed, but the event is still of great theoretical and practical value to diplomatic affairs in general, and to defence diplomacy in particular in the cause of Homeland construction and defence today. Negotiations for the signing of the agreement began on 13 May 1968 and ended on 27 January 1973. After nearly 5 years of negotiation with 201 open talks, 45 closed senior talks, 500 press conferences, and 1,000 interviews, the Paris Conference ended with Vietnam’s victory. Reviewing the American intervention in Vietnam, international specialists commented that the Paris Conference was the most eloquent picture of the historic confrontation between the most revolutionary force and the most aggressive and brutal one; and that the Paris Peace Accords were “the legend of the 20th Century”. This victory was not only the result of the 5 years of negotiation but also the result of 18 years of arduous struggle of all people across the country. It was a blow, forcing the American troops to withdraw from Vietnam and a prerequisite for our final fight for the collapse of the Sagion puppet regime, liberating the South and unifying the country in 1975. 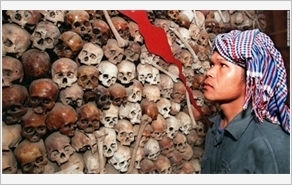 The victory of the agreement gave the Vietnam’s revolution and diplomacy a number of valuable lessons. It was the lesson of persisting in the line of independence and self-determination associated with international solidarity, combining the strength of the nation with that of the times; grasping thoroughly President Ho Chi Minh’s diplomatic line of “firm in objectives, flexible in strategies and tactics”. It was the lesson of combining military and political struggles with diplomatic struggle; exactly evaluating the enemy; skillfully applying the art of struggling whilst negotiating; upholding the activeness on both the battlefields and the negotiation rounds; leveraging victories on the battlefields for negotiations and vice versa, leveraging all the advantages gained from negotiation for fostering military activities on the battlefield to combine the battlefields with negotiations. Nowadays, our country is undergoing deep and wide integration into the world economy, politics and security. We have established economic, commercial, cultural, educational, scientific – technological relations and cooperation with almost all countries and territories in the world. As regard of defence field, Vietnam has established defence relations with several countries and international organizations, including all permanent members of the UN Security Council. This is a major advantage for us to promote relations and cooperation to earn support from international community, particularly the external resources for the cause of Homeland construction and defence. However, we are facing a number of challenges, too. In terms of defence and security fields, located in the Pacific and the Sub-Mekong regions, Vietnam is prone to territorial disputes in the East Sea and the threats to maritime security and water security. In the mean time, hostile forces are fostering their sabotage against our country in all aspects of life, including defence diplomatic lines and policies of the Party and State. 1. Adhere to the guideline of independence, self-determination in the making of defence external policies as well as in the practice of defence diplomatic affairs, basing on the teaching of President Ho Chi Minh that “Independence means that we shall decide our affairs on our own, without outside intervention”. 2. Put first priority on national interests; be sensitive and persistent with matters of principle (firm in objectives), but clever and flexible in dealing with the relations (flexible in strategies and tactics). When solving a particular issue, diplomatic cadres should grasp President Ho Chi Minh’s guidelines of “seeing both the forest and the trees”, “all for the national interest”; avoid the choices of short term benefits without considering the underlying risks. 3. Attach importance to the strategic advisory work; study thoroughly international and regional situations, and grasp the international roles of major powers; understand the impacts and influences of major powers and power centres on the country’s defence and security, then propose to the Party, State and the Central Military Commission sound guidelines and policies on defence diplomacy. 4. In leading and organizing defence external activities, in any circumstances, we must consider Vietnam a part of the world, and follow the trend of the times; seek the support of the international community and combine the strength of the nation with that of times in order to ensure the biggest interest of the nation. 5. Develop and creatively apply the lesson of “fighting whilst negotiating” in the negotiation and signing of the Paris Agreement to the practice of “cooperating whilst struggling” in the defence diplomatic affairs, thereby affirming the important role of defence diplomacy as a preventive diplomacy and a measure for protecting the Homeland by peaceful means, making more contributions to the cause of Homeland construction and defence.